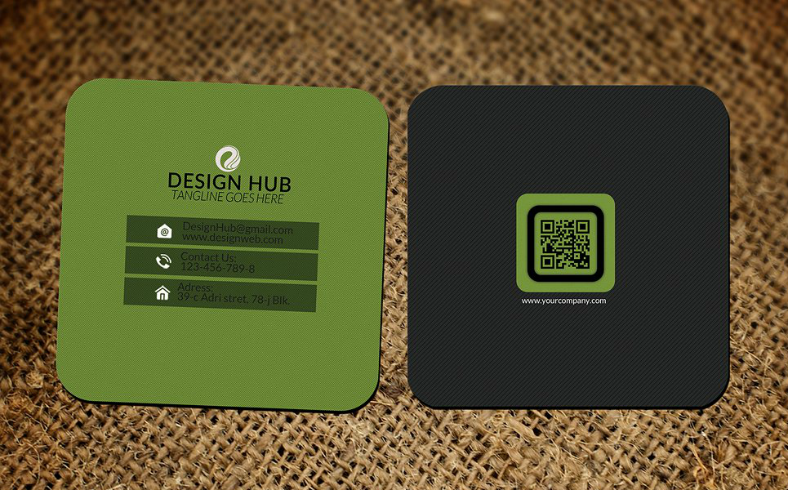 Business cards serve the purpose of introducing one businessman to another, or towards prospects. For the convenience of both parties, instead of spending time in writing the businessman’s name and contact details on paper (and looking for a blank sheet of paper is time-consuming already), or having to spell out their name and dictate their phone number, they will only need to reach out for a copy of their business card from their wallet. Business cards may signify the start of a professional relationship, which is why you should always make the best initial impression to both other professionals and clients by making effective and informative business cards. Our website holds a gallery of uniquely-shaped business card designs that are sure to stand out from the rest. Feel free to look around and you might just find what you need. 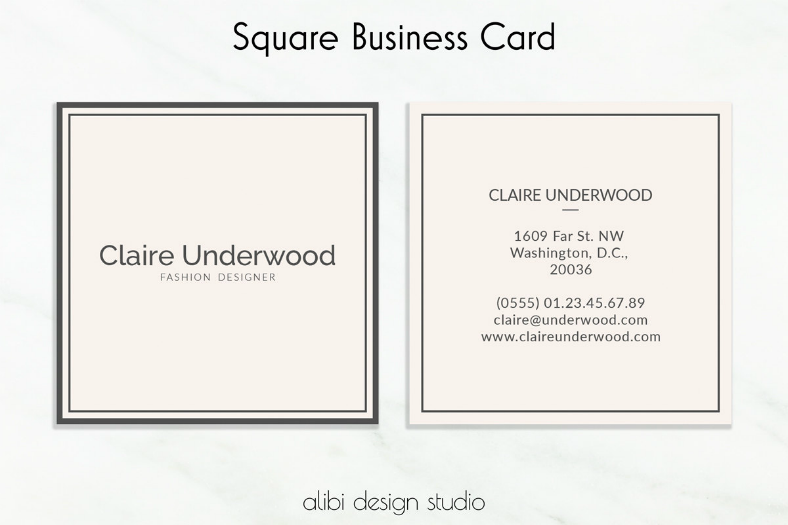 This square business card design effectively makes use of both sides of the card. One side has a logo or symbol and is surrounded by an abstract image of polygons and shapes, and the other side contains the information about the person who gave away the business card. 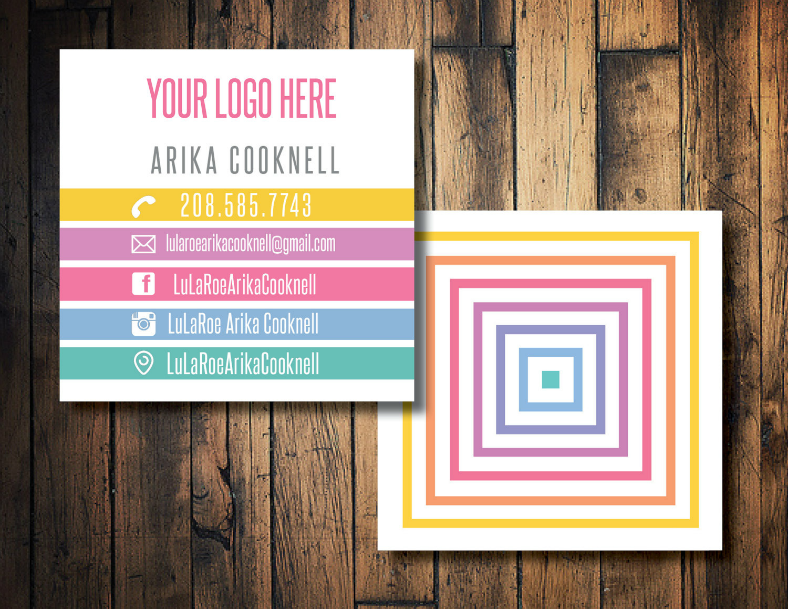 If you think that using a square-shaped card isn’t enough to make your business card stand out, then go for a colorful design as well. 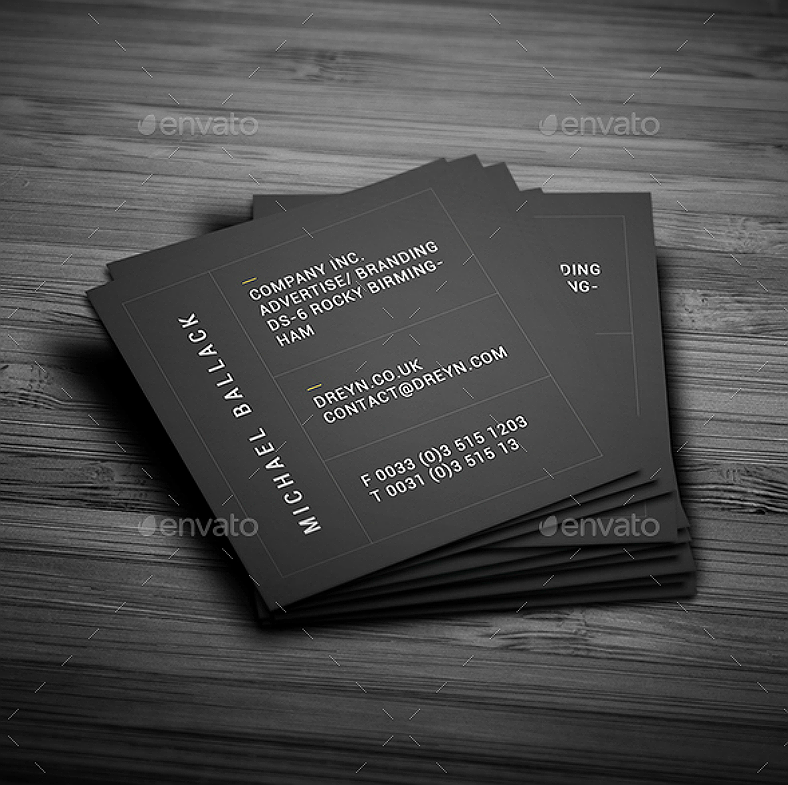 The business card design above is very simple that it only makes use of two contrasting colors between the background and the text written. All the information on this business card design can be found on one side of the business card, which makes it easier for the reader to obtain all needed information without having to turn the card over. 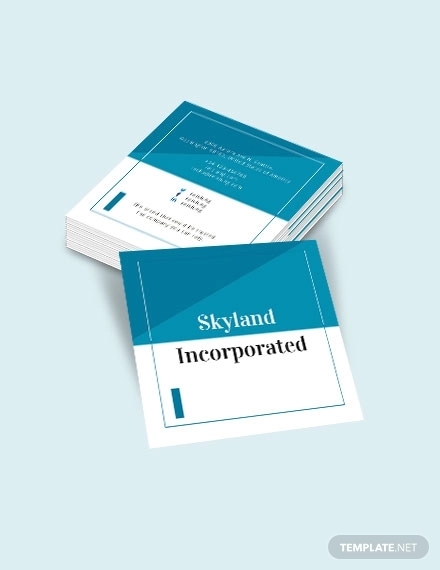 The business card design seen above makes use of both sides, wherein one side is printed with the logo, company name, and the contact information of the company that includes the email address, phone number, and the street address. On the opposite side of the card is just a plain black background where a small QR code can be found. Scanning this QR code will lead you to the company’s website where you will be able to find addition details regarding the business. This business card is so unique, and it is considered as one of the most innovative designs today. For a straightforward business card design that looks both clean and classy, these simple and minimalist card designs are ideal. These vintage-inspired designs make use of a lot of blank space that gives the card a fresh appearance that is easy on the eyes. 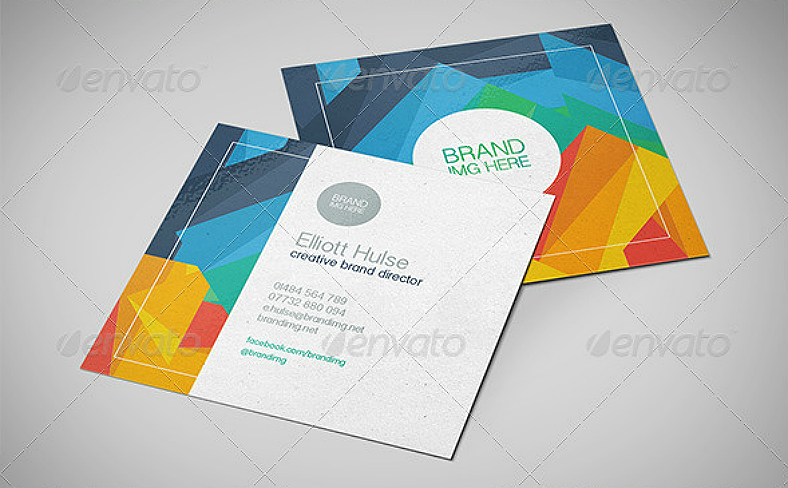 If you prefer a formal-looking square-shaped business card, then this is the perfect download for you. 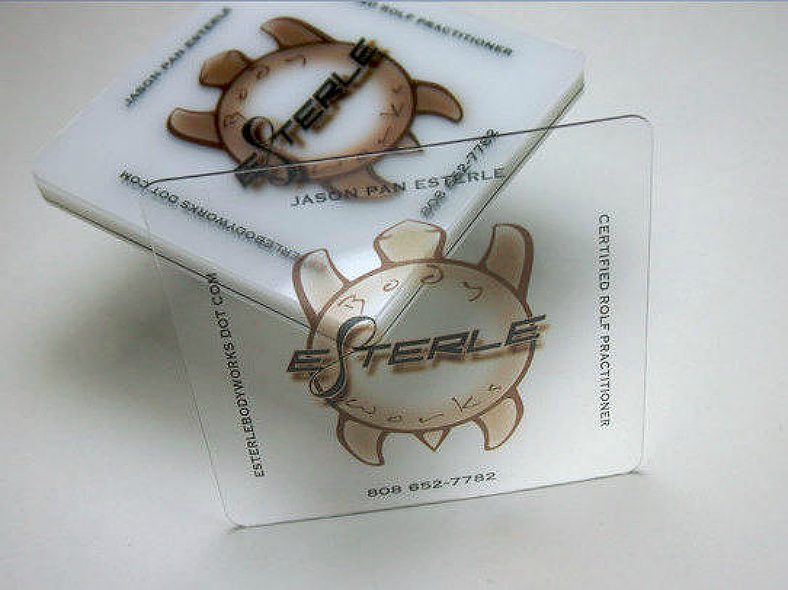 Make your square-shaped business card stand out even more by making them different and unique from others. You can a transparent business card by printing your design on a clear material. With this transparent design, your business card will surely be noticed and remembered by the holder, which may eventually lead to boosting your business’ reputation. We want you to be successful in your business and dominate in your respective industry. With our business cards, you are sure to get the recognition you deserve apart from other business people and the public in general. Just make sure to include all the necessary details and be sincere when handing over a copy of your business card, and you can never miss an opportunity. 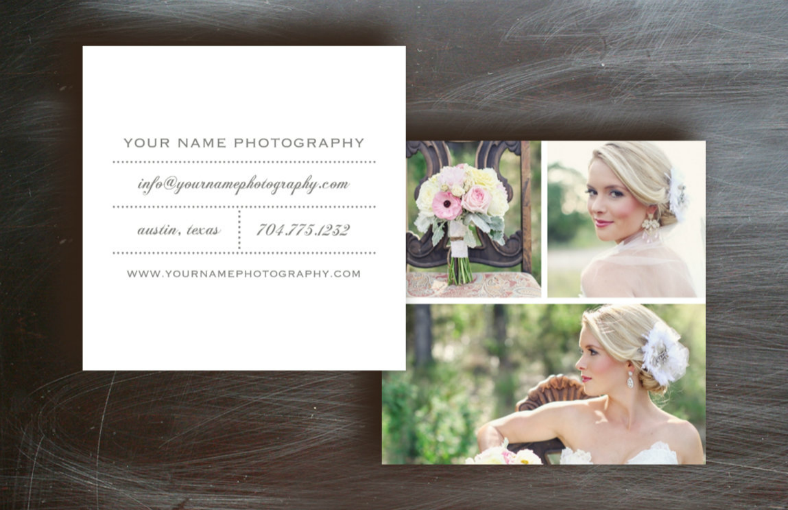 Our business cards can be downloaded in a click of a button, and these designs can be yours for a reasonable fee. These designs are also fully editable and are compatible with most photo editors for your convenience, but for the highest compatibility, we recommend you use Adobe software programs to edit these designs. 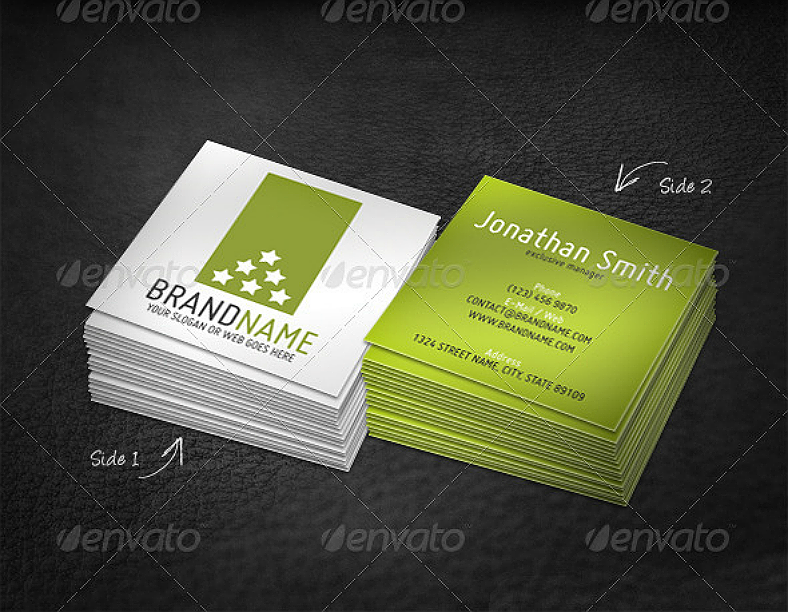 You may also even refer to business card mockups for more ideas. So what are you waiting for? 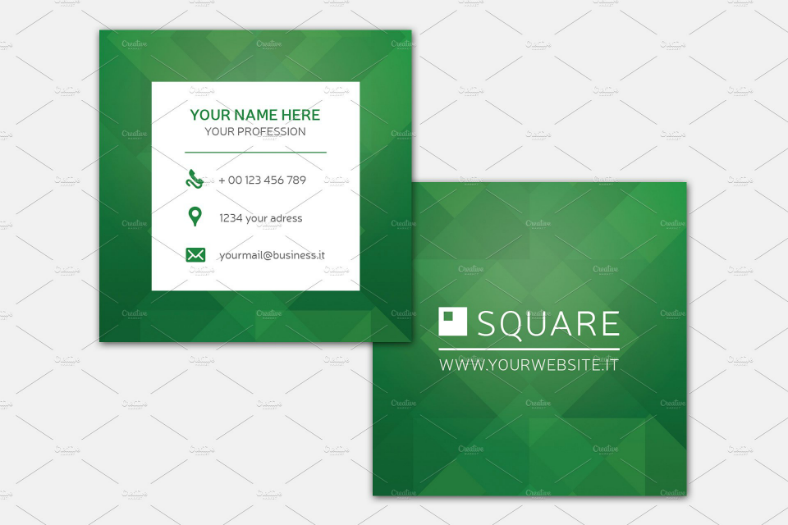 Choose from among our designs now and make your own square-shaped business card.